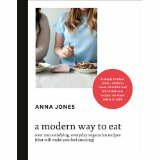 This recipe has been marked in the cookbook for ages as one to try, but I didn’t and I don’t know why! 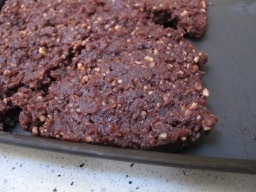 Perhaps it’s the name, it’s a recipe by Ella Mills which she calls ‘Raw Brownies’ which does not do them justice. Simple to make, no baking involved, and impossible to stop nibbling. They are very rich, so perhaps mark out portions slightly smaller than your usual brownies! In the list of ingredients, the syrup is included as optional. However I found my mixture was crumbly so added 1½ tbsp of agave syrup until it became sticky. This probably depends on your dates, be sure to use dates from the fresh fruit section rather than the longlife dried version found in the baking aisle which are not sticky enough. Place the nuts in your food processor and pulse until they become gritty. Add the pitted dates, cacao and blend. 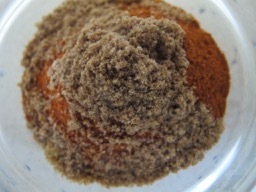 Now decide if you want to add syrup, or need to add syrup if the mixture is a little crumbly. Pulse until the mixture sticks to the back of a spoon and gathers into a large ball. 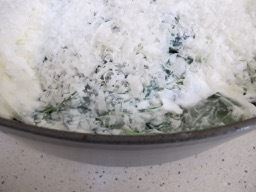 Spread the mixture on a clean baking tray, no need to grease it first. Spread it out evenly, I found this quantity used less than half the space of the baking tray. Place the tray [above right] in the freezer for one hour. Remove the tray from the freezer [above], cut into bars, and place in an airtight plastic box. Store this in the fridge. This entry was posted in A love of food and tagged baking, cakes, food, vegan, vegetarian food on March 7, 2019 by sandradan1. Practically made in total with store cupboard/fridge/freezer ingredients, this casserole is brilliant for chilly days when you are cold and starving hungry. 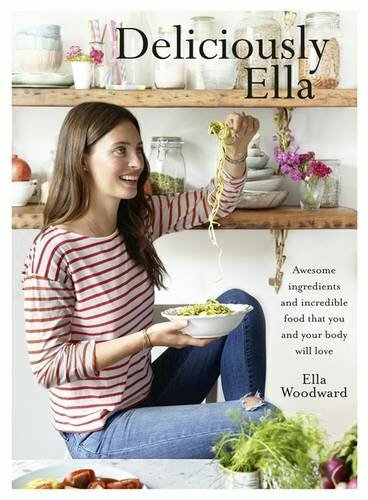 Eat it from a deep bowl with a spoon. 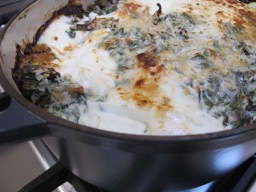 It is very satisfying and, made in one saucepan, is quick and easy. Heat 1 tbsp olive oil in a large saucepan, then add the sausages and cook until browned all over. Remove from the pan, and set aside. Add the remaining oil to the same pan, add the onion and cook until lightly coloured and tender. Stir in the ginger and garlic and cook until the aroma rises. Add the spices [above] and tomato puree and cook for another two minutes. 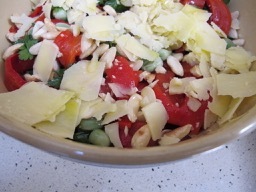 Add the chopped tomatoes and cook for a few minutes. Return the sausages to the pan and add the chestnuts, lentils and stock. 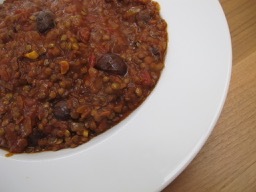 Bring to a simmer and cook gently for 20-30 minutes until the lentils are tender and the sausages are cooked through. If the mixture gets too dry, add a splash more water. Season to taste and serve. Throw in a handful of frozen peas. Add chopped fresh parsley at the end. Add a little more fresh ginger. 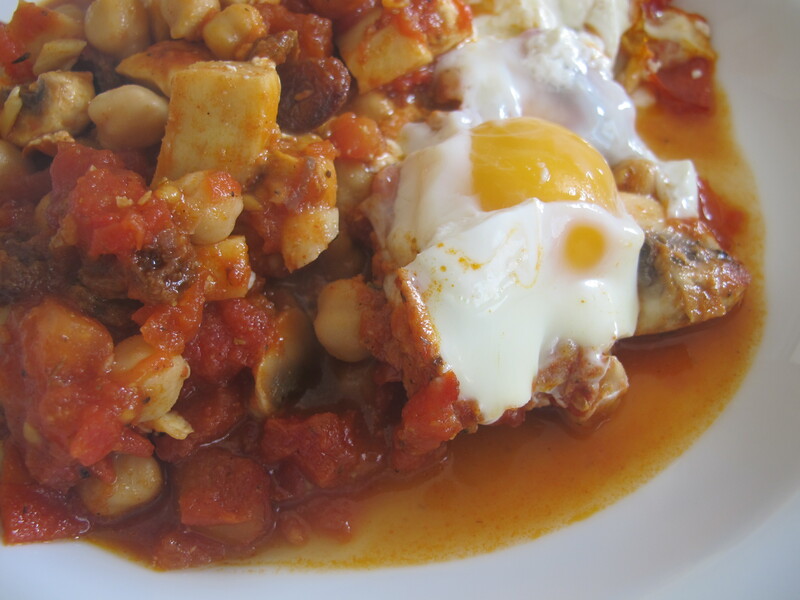 This entry was posted in A love of food and tagged Andalucia, food, recipes, Spain, vegetarian food on March 1, 2019 by sandradan1. On one of those winter days that feels like July, when the thought of hot food is overwhelming but the fridge is lacking salad ingredients, I rustled together this Jamie Oliver lunch dish. From the freezer, the cupboard, and the parsley pot on the terrace. I cut out one step from the original recipe to make it quicker: I didn’t roast the red peppers from the jar. It seemed a redundant step to me, as they are already roasted. I also didn’t add brine from the jar to the salad dressing, I made up the quantity with a splash more olive oil and red wine vinegar. 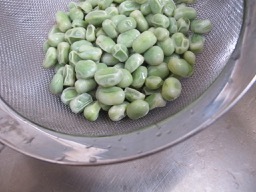 Boil the broad beans for three minutes, drain and set aside to cool. If any are large, pinch off the pale green outer skin. Toast the almonds in a dry frying pan over a medium heat until pale golden. Remove and finely slice. Drain the jar of peppers, open out flat and slice into strips. [At this stage, Jamie roasts the peppers in a griddle pan, without oil. I didn’t]. Sort the parsley and discard the thick stalks. 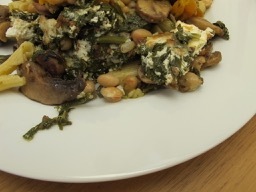 As the parsley is effectively the salad leaf in this dish, I left the leaves whole. Mix the dressing ingredients together in a jar and give a good shake. 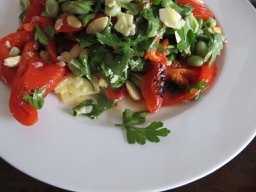 In a serving bowl, toss together the peppers, parsley and broad beans with the dressing. Season to taste. This entry was posted in A love of food and tagged cooking, food, recipes, Spain, vegetarian food on February 17, 2019 by sandradan1. Preheat the oven to 180°C/fan 160°C/gas 6. Put the quartered beetroots onto a baking tray. If your beetroots are large, cut them into smaller wedges as they can take a long time to roast. Add the vinegar, a good glug of olive oil and a splash of water. Season with salt and pepper, toss everything to coat. 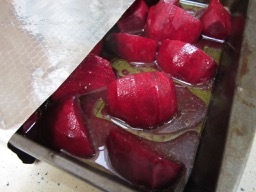 Cover the tray with foil and roast in the oven for 1 hour, until the beetroots are cooked through and the juices are neon pink. Meanwhile, cook the lentils. Put the lentils into a saucepan with the unpeeled garlic, whole tomato and herbs. Just cover with the vegetable stock. Put on a medium heat and bring to a simmer. Cook for 20-25 minutes until they are cooked and the water evaporated [if they are cooked and spare water remains, simply drain it away]. If they are a little dry and not quite cooked, add a splash of boiling water. To make the salsa, finely chop the capers and cornichons. Add the herbs and chop again. Put into a bowl and add the olive oil and lemon juice. Season to taste, add more oil or lemon until you are happy. Set aside. 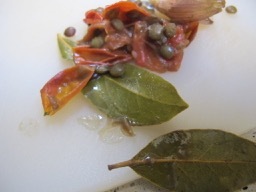 Once the lentils are cooked and all the water has evaporated, scoop out the tomato, bay leaf and garlic. Set the flavourings aside in a bowl to cool. When you can handle them, remove the garlic skin and tomato skin, mash the flesh and add back into the lentils. 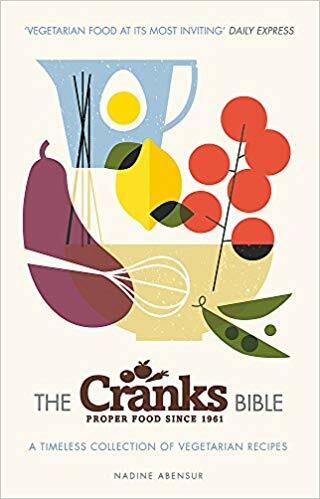 Mix, season to taste, and add a final glug of olive oil and red wine vinegar [be sparing with the latter, add a little and taste until you are happy]. When the beetroots are cooked, you are ready to serve. 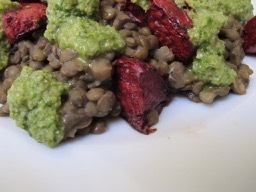 Pile the lentils onto plates, top with the roasted beets and drizzle over the roasting juices. Drizzle over the salsa to finish. If you have some salsa left over, it will keep in the fridge in a sealed jar for 2-3 days. To make the leftovers go further, we added a pile of roasted broccoli, roasted carrots and onions. This entry was posted in A love of food and tagged Andalucia, food, recipes, Spain, vegetarian food on January 29, 2019 by sandradan1. 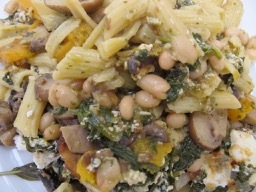 I love these one dish baked suppers. This one can be prepared in advance and cooked later and is made of mostly store cupboard ingredients. It also performs a magic trick on cheap supermarket mushrooms by serving them in a dense rich tomato sauce. 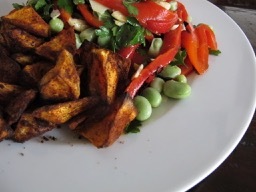 I added some additional spices to add flavour, rather than heat, and a jar of chickpeas for protein. Eat with a spoon and bread to mop up the sauce and yolk. 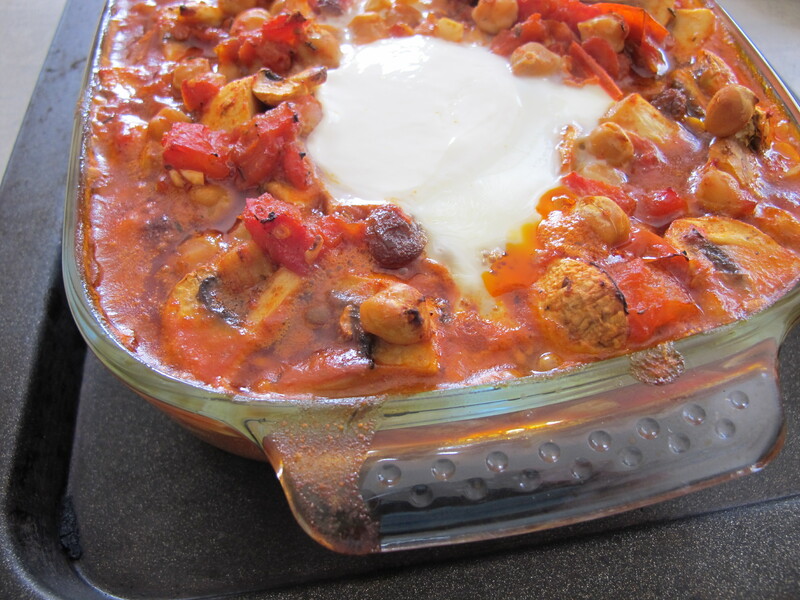 This is great to make ahead and keep in the fridge, then put in the oven when you are ready to eat. If you make this early to cook later, remember to allow a little more time in the oven. Always taste and test before serving, and check in the centre to ensure it is full heated through. 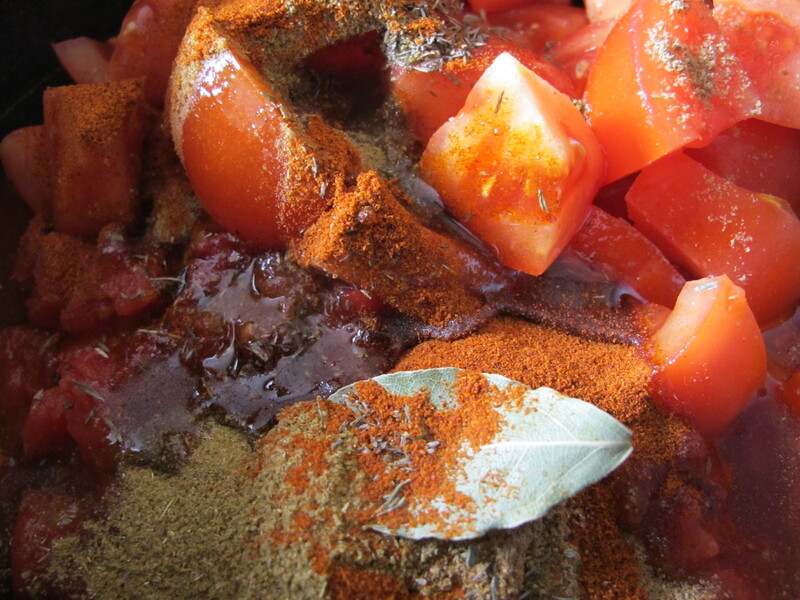 In a saucepan place the tomatoes, coriander, tomato paste, thyme, bay leaf, oil and additional spices [if using]. Season with black pepper. Add 150ml water and simmer gently for 8 minutes. 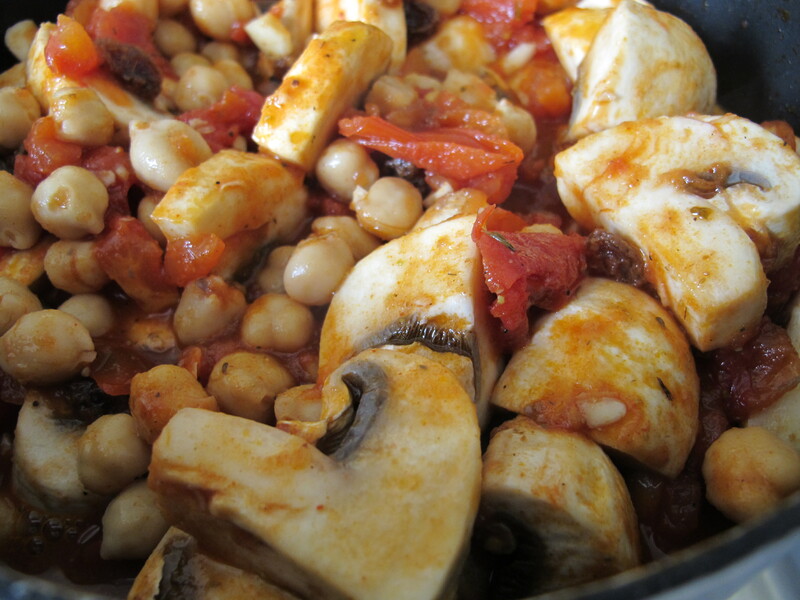 Increase the heat then add the sultanas, pine nuts, lemon juice, mushrooms and chickpeas [if using]. 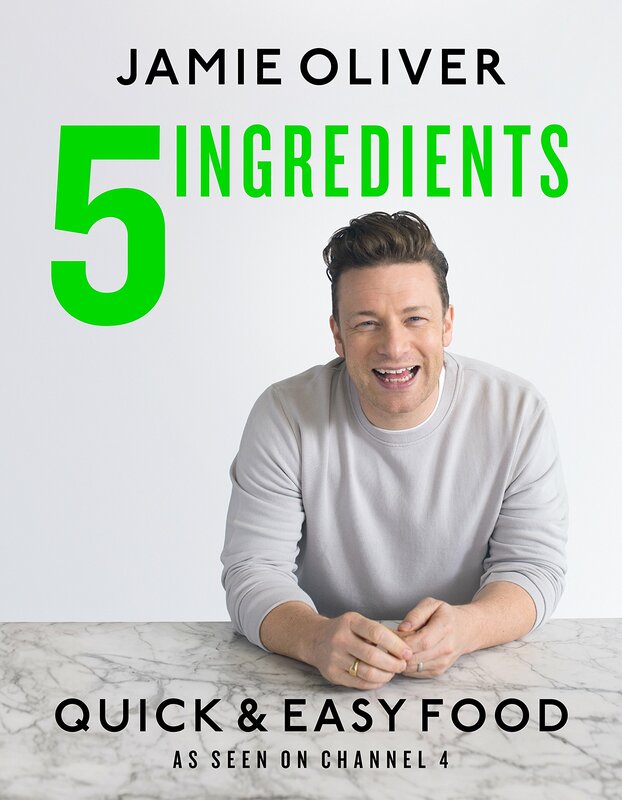 Cook for a further 5 minutes. If you are cooking later, halt the process here. Pre-heat the oven to 180°C/350°F/gas 5. 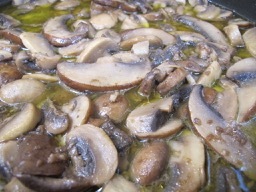 Spoon the mushroom mixture into individual ramekins [if using, or into a wide baking dish]. Make a well in the mixture for each egg. 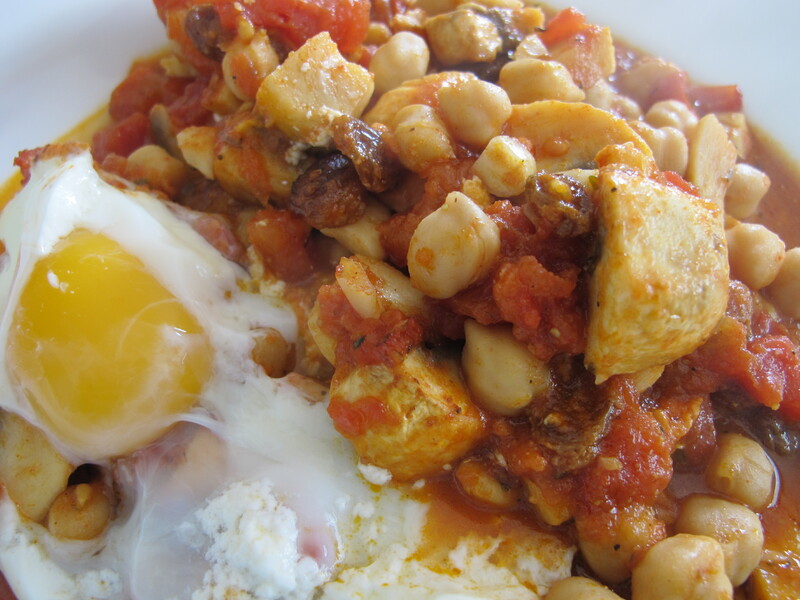 This entry was posted in A love of food and tagged living abroad, Sandra Danby, Spain, vegetarian food on January 8, 2019 by sandradan1. 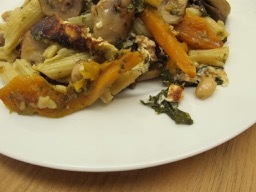 This is a versatile supper dish that, with a few seasonal amendments, works well throughout the year. And it is very tasty! 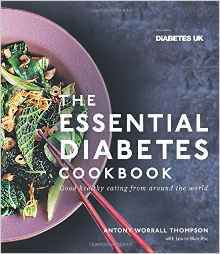 In spring add asparagus, in the winter use leeks and frozen peas, add baby broad beans in the summer and in the autumn try Brussels sprouts. If you can get lightly smoked salmon fillets, they work well too. Preheat the oven to 220°C/ 200°C fan/ gas mark 7. Pour the oil into a large roasting tin and out in the oven to preheat. Cut the potatoes into evenly sized quarters and out into the heated tin. Add 1 tbsp tarragon and half the lemon zest. Season well and toss well to coat in oil. Roast in the oven for 15 minutes. Meanwhile, put the leeks in a bowl and cover with freshly boiled water. Set aside for 10 minutes, then drain. 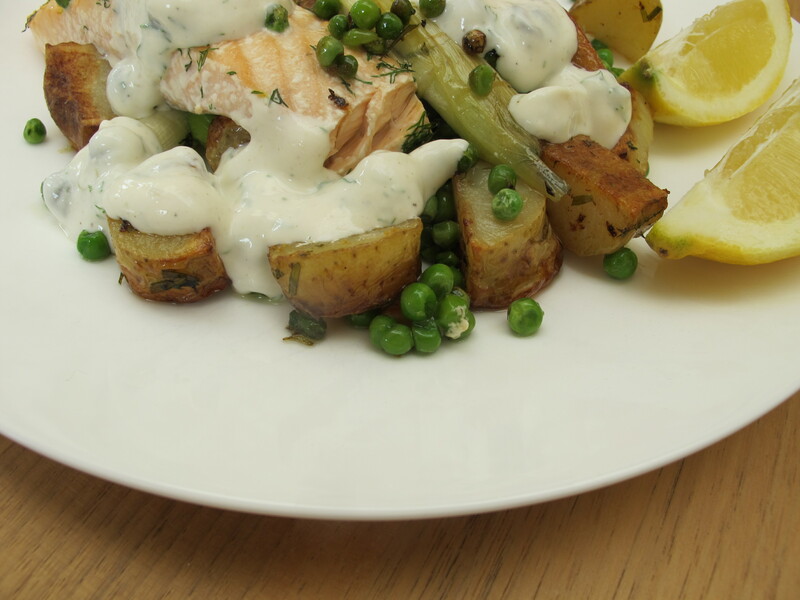 For the dressing, whisk together the mustard, crème fraiche, capers, 2 tbsp lemon juice, 1tbsp tarragon and 1 tbsp water (to loosen the mixture). Season to taste. After 15 minutes, remove the potatoes from the oven and test. They should be almost tender; if they’re not put back into the oven for another five minutes. 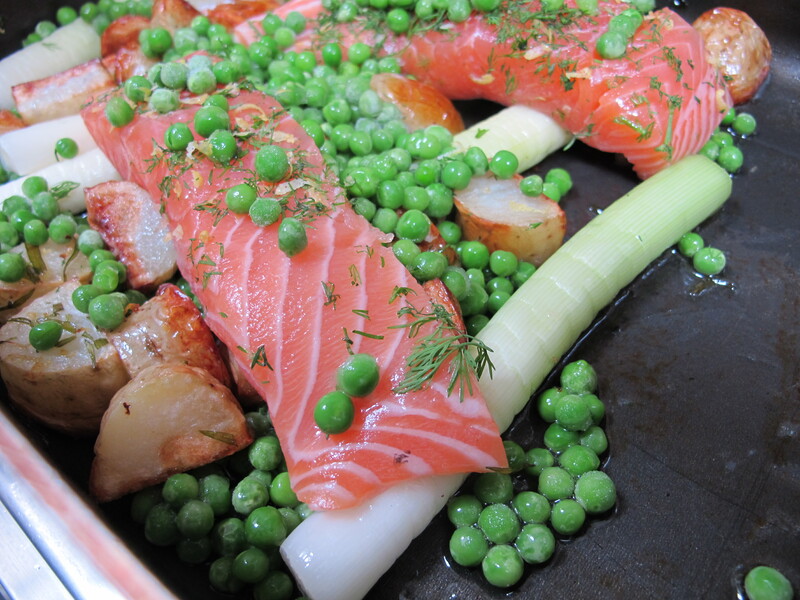 If they are almost tender, add the drained leeks, toss briefly with the oil then place the salmon fillets on top. Over the top sprinkle the remaining tarragon and lemon zest, check the seasoning. 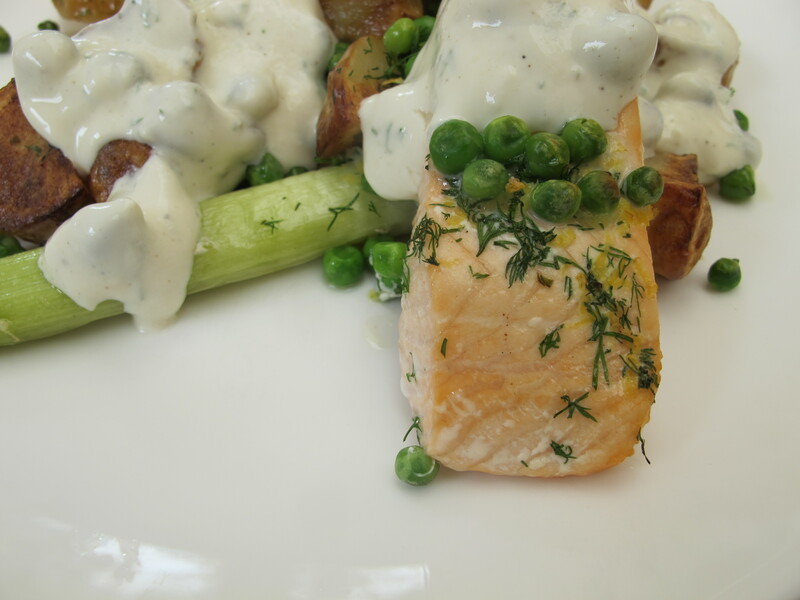 Scatter frozen peas on top then return to the oven for a further 8-10 minutes until the salmon is cooked through. 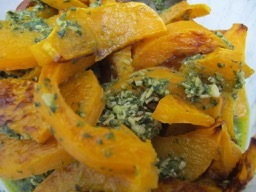 To serve, drizzle with the dressing and squeeze the lemon wedges. From a recipe in Good Housekeeping magazine. This entry was posted in A love of food and tagged Andalucia, food, living abroad, recipes, Spain on December 3, 2018 by sandradan1.